This one is for my cousin's baby. 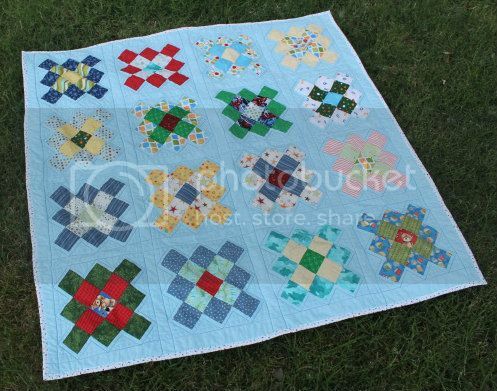 She requested bright, primary colors, so I waited around for the perfect quilt-along. Granny squares was it! Like most of my first-half-of-the-year finishes, this is almost completely from scraps/stash - so the fabrics range from Walmart to vintage sheets. The solid is a blue from Joann's. 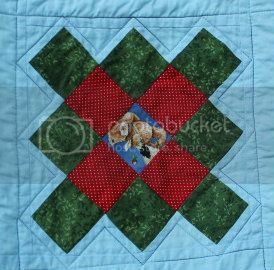 A little special touch - the bears in the centers of these two blocks came from the twin quilts I made for Baby's cousins 18 months ago. 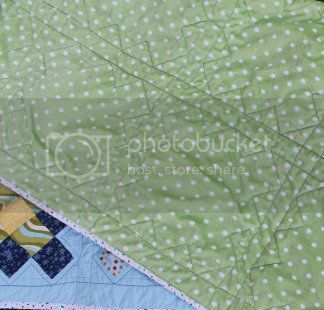 There's also a block using the jungle fabric from Baby's brother's quilt. 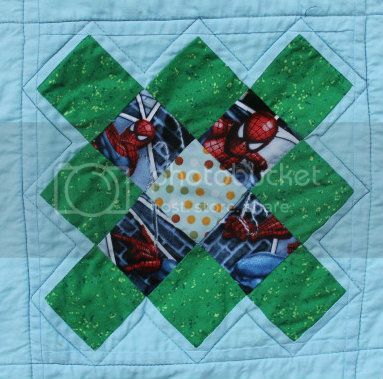 And Baby's big brother now has a superhero room, so I fussy-cut some Spiderman for a block. 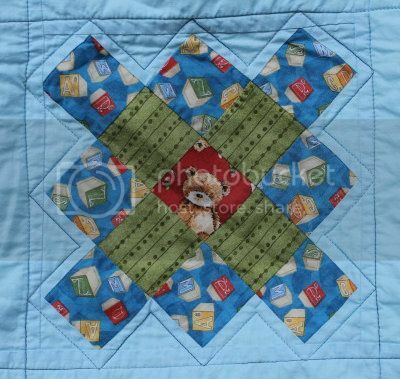 The backing is minky, and the quilting looks better on this side! 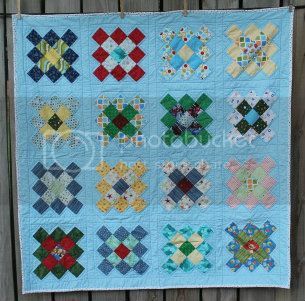 I echoed the granny blocks and added not straight organic lines in the sashing.